April is Autism Awareness Month! 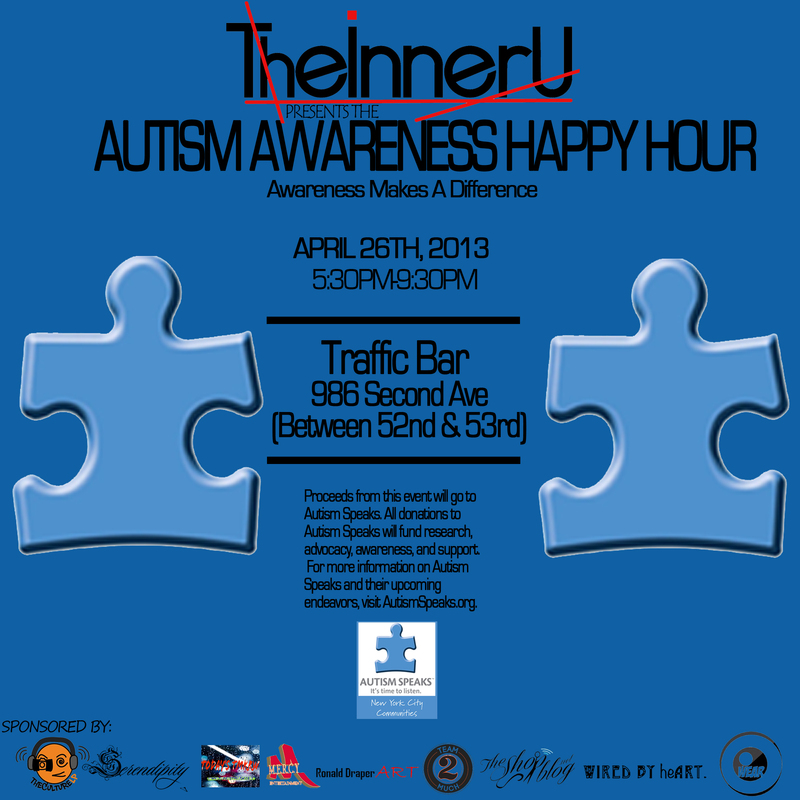 And TheInnerU is having an autism fundraiser! Experts estimate that 1 out of 88 children age 8 will have an ASD. As early as infancy, a baby with ASD may be unresponsive to people or focus intently on one item to the exclusion of others for long periods of time. For many children, symptoms improve with treatment and with age. Come out and support a great cause! Proceeds from this event will go to Autism Speaks, a nonprofit organization dedicated to fundraising for autism research, awareness, and advocacy! TheInnerU hopes to see you there!